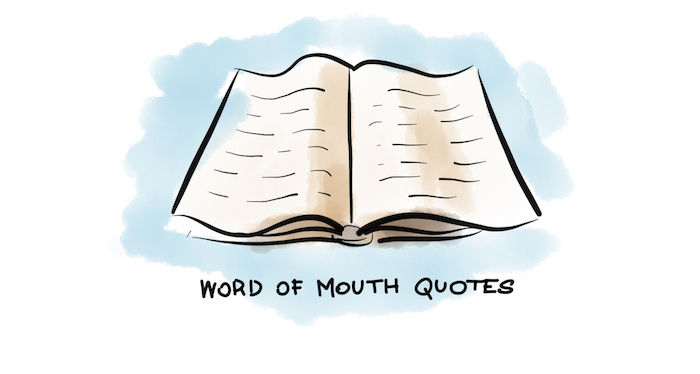 In this Quotes Series I will discuss one of our favourite topics – word of mouth. Each quote is preceded by a question that I thought will make reading easier for you. This information should be crucial to all the people who are running a business: the most important reason people pick one product over another is due to recommendations from the people they know. Also people share their opinion about a product with a person they think would find it useful. This way word of mouth naturally reaches an interested audience. And it’s a great advantage over other forms of marketing, for example traditional media or a company website itself. It’s because customers believe much less in what they see in advertisements these days. Where is the value in word of mouth? As you may know from the previous quote, recommendations are the most valuable source of information for customers today. That’s the reason companies need to put a great emphasis on providing a great customer experience. Customer experience became a more powerful factor than the price. Once customers have an amazing experience, they start to talk about it. 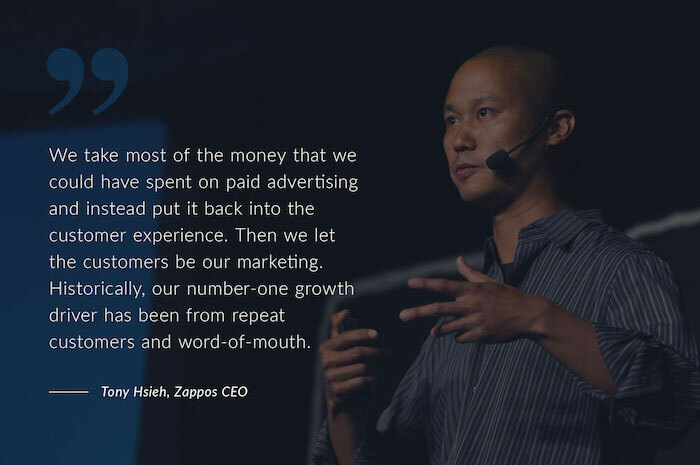 And that is the true value of worth of mouth – truly happy customers talking about your product or service. How to create word of mouth? 1. Social currency – We share things that make us look good. 3. Emotions – We are more likely to share things that evoke high arousal emotions like anger, excitement, amusement. 4. Observability – That’s a huge part of whether products and ideas catch on. We believe other people are right or they know something we don’t and we imitate their actions. 5. Practical value – We often share ideas and solutions which proved to be useful for us. 6. Stories – Stories make a deeper impression on your listeners. They can kindle a spark that will set up a fire of conversations about you. When you tell a story related to the product it promotes – from there it’s pretty much downhill. How to get more word of mouth? You can focus on completing the points above. But whatever you decide to do in terms of observability or social currency, it should all be supported by customer happiness. Start by focusing on improving your product and delivering a great service. I guarantee your customers will be satisfied which will translate into positive recommendations. When it comes to delivering a great service – do something you have never done before. Make you CEO resolve some cases on customer support. Organize Q&A live twitting. Or do something a customer waiting for help wouldn’t expect you to do. In this Quotes Series I have something extra for you. Namely, two quotes from the two CEO of kickass companies. 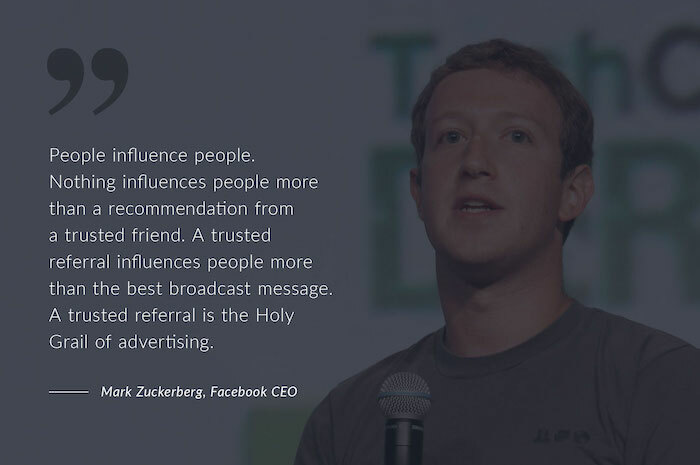 They already understand word of mouth is crucial in order to succeed. And they share this knowledge with us. When it comes to word of mouth, there are companies spending millions on advertising, trying to attract customers and the ones who don’t spend a dime on marketing, yet they win loyal customers who do free marketing for them. These are the happy customers telling stories about your service, company and your product and recommend it whenever they have a chance. You should go for it yourself!